Sewing Pattern - Alert! You are in danger of a cute and pudgy shark attack! Fun! What a great smile this shark has, full of pointy plushy goodness. 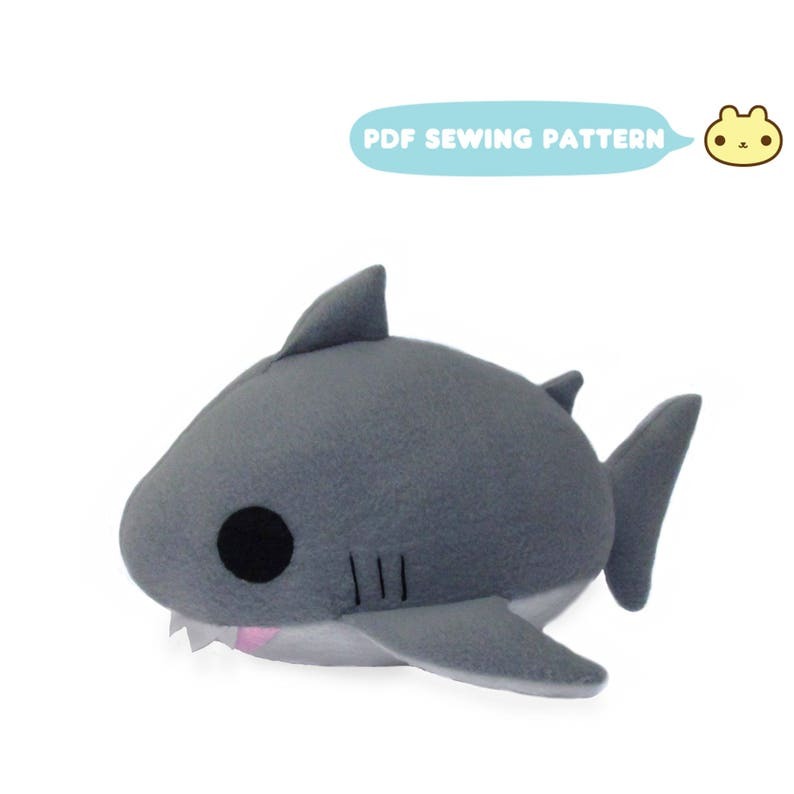 You can make your very own plush shark using this plush shark sewing pattern! Good directions and so adorable!!!! The pattern was easy to follow and turned out great! LOTs of fun and easy well written pattern.